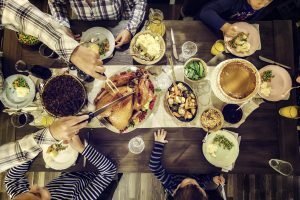 It's the most wonderful time of the year again: Thanksgiving season! As a special thank you to everyone for being such loyal readers, we're giving you a chance to win a $100 gift card! Every day, over the next 10 days, you'll have the chance to enter to win. Share any one link that we post to our Housecall Facebook page over the next 10 days and answer any one question we post. That's it! A winner will be chosen at random the day after the contest ends (November 27).